During the summer one of the “hottest” categories on DealDash is the Hobbies, Toys, Outdoors, and Games section. Let’s see what everyone is bidding on this summer. The Hobbies, Toys, Outdoors, and Games category has tons of fun things for kids and kids at heart alike. 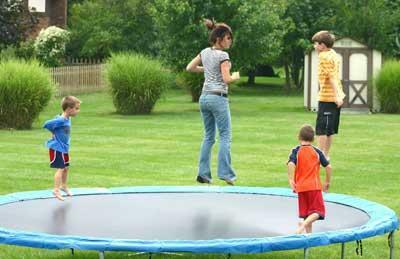 There is sports equipment like bikes, trampolines, and swimming pools which are always great things to try and win to please the whole family. The pools are especially great because they can be set up and taken down and stored for the next summer. In addition to sports equipment there are also some “grown up toys” such as projector screens for the backyard, drones, and even go karts! The Hobbies, Toys, Outdoors, and Games category truly has something for everyone. If you look past the wildly popular items that I listed above there are also some hidden gems in the Hobbies, Toys, Outdoors, and Games category. For instance, did you know that you can find gun cabinets in this category? It’s true! Just take a peek at this link right here. Another awesome item that is hiding in this category is a set that has an electric guitar and amp! Who would have ever thought that you would be able to get an electric guitar on DealDash? If you don’t believe me just click this link right here and take a look for yourself! Lastly, but certainly not least, one of my favorite DealDash items LEGOS are in the Hobbies, Toys, Outdoors, and Games category. There are Lego sets for everyone, from the Friends sets for little girls all the way up to huge Creator sets that are meant for teenagers and adults. If you would like to see all of the Lego sets that are currently offered as well as upcoming sets just click here. I hope that this article has encouraged you to check out the Hobbies, Toys, Outdoors, and Games category, it’s one of my favorites. Enjoy the summer, good luck and happy bidding everyone! Do you have furniture [couches sectionals, etc] on Deal Dash? How can I find them?? I’m glad to hear that you are interested in something special! I had a look into our auction section, and found some products that I’m sure you’d find exciting.